They want to banish war. What good does that do? … Human vileness remains, and that’s the most lethal of all lethal weapons. Over the last year or two, Pushkin Press have become my go-to publishers when I want quality; for their championing of Stefan Zweig alone they deserve kudos, but then there’s Antal Szarb, Teffi, Mikhail Elizarov, Gaito Gazdanov, Andrei Bely, Herman Hesse – the list goes on and on. However, not to be satisfied with all that wonderfulness, Pushkin have now started a new imprint called Pushkin Vertigo, a range of classic crime and thriller novels from around the world. So, more lost classics rediscovered – yay! The Vertigo cover style – which I think has caused some controversy! 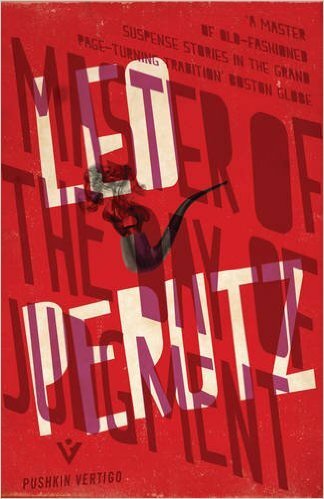 Pushkin were kind enough to provide a review copy of one of the new titles that caught my eye, in the form of “Master of The Day of Judgement” by Leo Perutz. 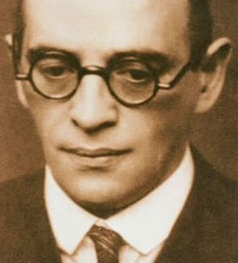 Born in Prague, the author lived in Vienna until the rise of Nazism forced him to flee the country and he spent some years in Palestine before returning to Vienna in the 1950s to spend the last years of his life. He wrote eleven novels including this one, and they’ve been praised by other authors like Greene, Fleming, Calvino and Borges – so that gives some idea of the strange mixture you might expect to encounter in this book! The rhythm of life and death was a banal dance tune. Thus we come and thus we go. What shatters us and casts us down utterly turns out to be an ironic smile on the face of the world spirit, to whom suffering and grief and death are continually recurring phenomena familiar since the beginning of time. The story is set in 1909 and narrated by Baron von Yosch, who in his foreword throws up a number of possible red herrings, starts a number of hares and drops enough hints about what is to come to have you thoroughly intrigued! Having set the scene, telling us most importantly about a bank collapse, the Baron sets off to play music at the house of his friend, the actor Eugen Bischoff. Also present, amongst others, are Dr. Gorski, Bischoff’s wife Dina (a former lover of the Baron) and most notably the engineer Solgrub. The adventure that follows is fascinating and gripping and quite unsettling in places. The Baron is an ingenious invention, at times confused, at times clear about what is happening and we follow the twists and the turns of the plot through his eyes. Is there a supernatural force at work? Is there a supervillain at work? The Baron often arrives at a point of investigation just ahead or behind the engineer and Gorski, and we begin to wonder whether any of them will find the solution or whether there will be more deaths. There’s quite a McGuffin as well, though I’d like to go back and read the book again to see if the plot element I’m thinking of really had any point. There *is* a solution of sorts, but it’s suitably ambiguous and in some ways leaves the reader to make up their own mind about what really happened – which is great fun and very satisfying. So what, in the end, is this book about? Is it a thriller? Murder mystery? Love story? Horror? Philosophical tale? In many ways, it’s a strange and wonderful hybrid of all of these, and it’s completely unputdownable. Perutz was obviously a writer of great skill, and I’m very keen now to read more of his works. “Master of the Day of Judgement” was a wonderful introduction to Pushkin Vertigo, and I feel a very strong risk of a new collection coming on…..